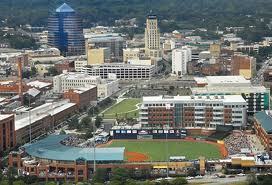 So finances were tight and I had no choice (so I thought) than to go to North Carolina to seek employment. Looking back now, I know that if I knew and trusted God like I do now, I would have waited on him to provide a job for me, to keep the lights on, etc. But the man I was could only see the dollars I would make. Deep down I also felt that this may be my last opportunity to “have fun”. As the time came closer for me to go to NC, I would talk to my buddies and they would say things like “you’re going to NC? without your family? How did you pull that off! ?” I would hear “you’re the man!” and I got gassed and I thought I was doing big things. What I fool I was for thinking that. You see My wife and I discussed me leaving the family and wondering if it was the right decision, but my mind was already made up that I was going. The family took a road trip to see what North Carolina was like and it looked as if it would be a good situation. Again looking back, if I had put God first in all things and prayed on that decision I believe the outcome would have been different. So the time finally came for me to fufill my 6 month contract in North Carolina, make this consulting money, and return and life would be good. Goodbye’s were said, tears were shed, and I made the 10 hour drive up to NC. At the beginning of the contract I was staying at a hotel until I could look for an apartment. A friend of my wife had family in North Carolina and one of her friends relatives was going to help me find an apartment. The relative that helped me find the apartment was a nice (and attractive) young woman and I was very thankful for her help. I told my wife that I wanted to take her to lunch or something to say thanks. My wife suggested I send flowers or something, but I took her to eat instead. We had a good time and I said maybe I would kept in touch. So there I was up in North Carolina by myself. It took a minute to settle in. It was a big change to get off work and not have a family to go home to. Most the people I worked with were married and some were contracting too. So after work most were rushing home to their families and on the weekends most of the contractors were going home to their families. I was covering my own work expenses and the home expenses so at first I would go home every other weekend, then every couple weeks, then once a month, and so on. It wasn’t too bad at first, I would call every night and my free time would be spent making music or exploring what was around. A couple weeks into the project there was a delay because they could not find a project manager for the project. After several weeks of the project not making any movement they finally asked me to be the Project Manager so that the project could continue to move on. I wasn’t sure if I could do it, but my wife was behind me and encouraged me to step and take the job. Let me step back for a second, in that time the project was in limbo, the chef in the cafeteria at the job and I became good friends as he told me he was a rapper and I told him I made beats. He came over one night and I let him hear some beats and he asked if it was okay if he “smoked something” before I recorded him. That was all I needed, I was back to my old ways. Me and Chef hung out a little bit, we would go to the bars, he knew I was married with a family so we kept it cool. As I started to hang out and learn the area I found myself going out without Chef and one night became two, then three. I would go to the apartment after work, make my phone calls home then put on my jewels, take off my ring, and see what I could get in to. As I look back at how ignorant I was, I think of the places I went, the people I hung out with (that I really didn’t know) and I think of what could have happened. I could have been on The First 48 for all I know. Spoiler Alert! Let me just say from now that I did not cheat on my wife in North Carolina. But I may as well have with all the things I doing. I was meeting women at socials and clubs, trying to get numbers but thank God that nothing ever panned out. So after many unsuccessful situations I started to wonder what was wrong with me? Had I lost it? I still thought I was the man… Obviously not. Once in a while I would reach out to the relative that helped me find the apartment and say hi and I would try to get her to hang out but she wouldn’t. So about 6 months passed and the money I made seemed like it wasn’t enough any more and I was starting to feel the pressure of the Project Manager position. I was asking Chef to come around so we could smoke something, and drink something….I was getting out of control. My wife was wondering what was going on and I was just living single. I was so burnt out I could not deal with everything going on and keep my stories and finances straight. One day I was really tired and I said to myself that I was going home and doing nothing…I didn’t want to hang out or anything. As soon as I got home my phone rang-it was the relative! She wanted to know if she could bring her PC over for me to look at it. In the course of that visit we had a few beers and things were having a good time when my wife called. I wasn’t as smooth as I thought and my wife new something was up. Long story short, I told my wife after a good interrogation that I was not home alone when she called and that situation made its way back to the affair that I had in New York and I finally had to tell my wife (after eight years of keeping my secret) the truth about what happened in the affair and that I slept with her. She was devastated. From that point on everything for me in North Carolina stopped. I liked going to work because it kept my mind off of everything else in my life. I dreaded seeing 5 O’clock, because that meant it was time to go home and talk to my wife and read the many emails we had going back and forth. For all the “Fun” I had for all those years It was time to pay for it. I couldn’t sleep, constant headaches, and dread of “talking”. It was at this time I felt that I needed to go to church. I was overwhelmed and I finally realized the damage I had done. It really hurt me to see what I had done to my wife. How I was having and had had a good time at her expense. I want to stop here and say to a man out there that may be caught up in any stage of this situation, STOP! If I could help one man out there not go down this road, and spare a woman what my wife went through, then I would be so happy and feel that me telling my story served it’s purpose. You see in all this, I blame no one but me for what I did, but the sad part is that I didn’t hurt just me, there were several people involved (my wife ,the women, the children). So many times without thinking, we do not realize the ripple effects of our actions and I feel that is what causes the most damage. What I think people don’t understand about God’s commandment “Thou Shalt not commit adultery” is that God did not make that commandment so that you could not have “fun”, He made it because He wanted to spare all parties involved from that pain of adultery and everything that goes with it. So getting back to the story, I looked for an Adventist church in the area and started to go to church on Sabbath. One week I really felt moved from the service and I repented to God for my sins. Again, looking back, I realize that when I “repented” that it was not with deep conviction and with the true repentance and remorse that I know now. But it was a start. So as my days would go by and the long evenings came on, many times I started to get annoyed with my wife when we would have our “talks”. I remember in one conversation I was being arrogant and said “I repented!” What do you want me to do! ?” I was an idiot to get mad at the woman who trusted me, that I betrayed, because she had feelings about what I did 8 years ago, that I just told her about! Dwayne..again, an inspiring message. I felt every word you wrote. I could feel your point of surrender. Wow! God is patient and merciful. Thanks for sharing your life and your journey to repentance and restoration. It is my pleasure to share….God is Good!! !